Each day I make my kids a fun lunch with the hope that they will celebrate and say, “I Love School”, when I wake them up at 6:00am. I’ve never actually heard them say this as they sleep walk around the house, but they often forget to whine when I show them the cool lunch they get to pack for the day. This week I made a caterpillar rice ball, a “restaurant” burrito and a hummus lunch. All of these lunches take under 10 minutes to make. And if I can make them, anyone can. The first lunch was the caterpillar rice ball lunch. Rice Balls are our favorite lunch and are very easy to make. 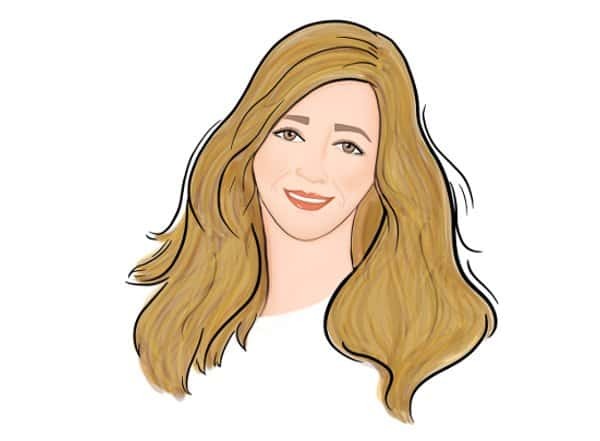 For instructions, go HERE. I made 3 circles using sushi rice and this Rice Mold . (The face rice mold is enough of a circle for this.) I then used a Nori Punch to make the face and dots out of seaweed nori paper. 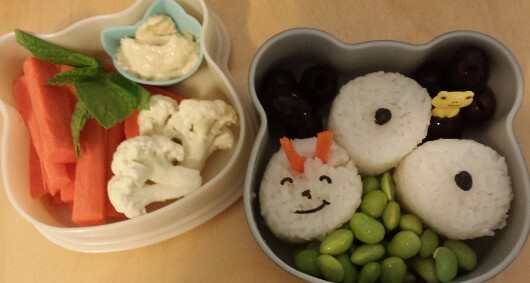 I arranged the rice balls, added the carrot antennae and had a little caterpillar. 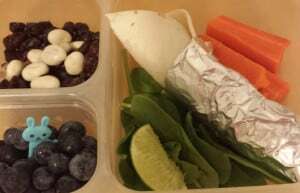 I added edamame, olives, cauliflower, carrots, mint and hummus in a little Silicon Cup and a Food Pick to the Bento Box . The next lunch for the “restaurant” burrito lunch. At dinner this week we had fish tacos. The kids claimed they did not like tacos or burritos… even though they insist on Mission Burrito burritos very frequently. After a long time of getting nowhere, my husband got wise and asked if they wanted foil on their burritos like at Mission Burrito. They ate these. And asked for them in their lunch the next day. So we had bean and cheese restaurant burritos. Our beans are from a can but someday I’ll make these easy crockpot refried beans. Another lunch was the “dip it in hummus” lunch. 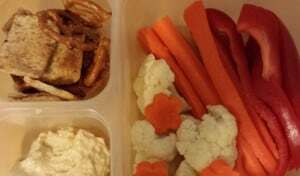 The lunch included Greenling hummus, carrots, peppers, cauliflower, pita chips and pretzels. I threw in some flower shaped carrots, made by using this Vegetable Cutter . Easy! Now I need to flip through Funky Lunch for ideas for next week!